The smell of cinnamon brooms is all throughout the grocery store and that can only mean two things. I get a headache every time I go grocery shopping and, more importantly, the Fall holidays are approaching. This means Halloween parties and family gatherings. Well I am here to help! 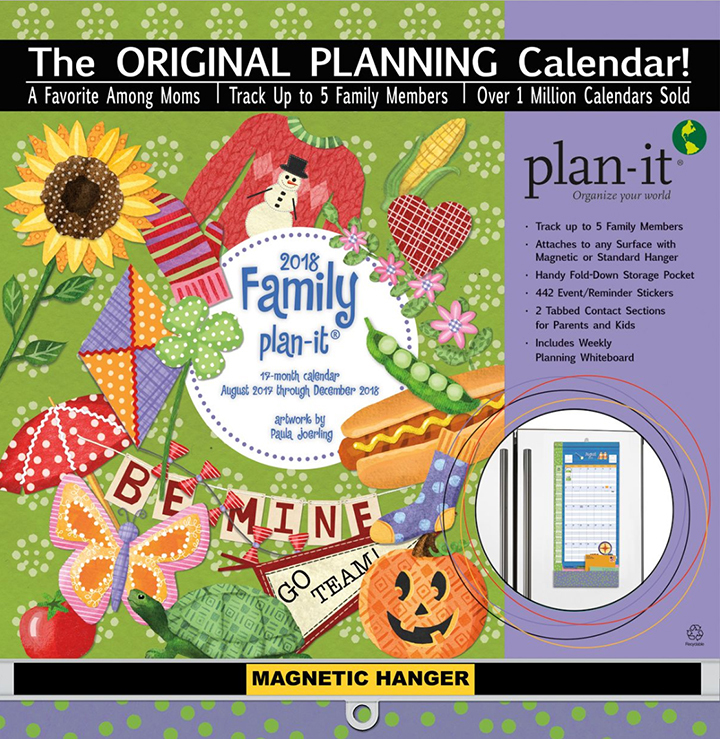 For several years I have illustrated the "Family Plan-It Plus" calendar for Lang. It's a best selling favorite among mom's. 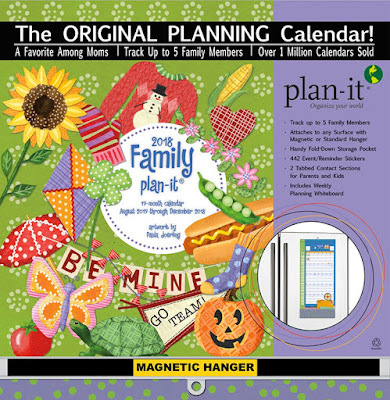 I know this because it says so right on the cover AND because each year, I get emails from mom's asking if there are other products that go along with the calendar. This year the answer is YES! I finally had the time to create holiday clip art and digital downloads inspired by some of the illustrations I have done for this calendar. The first group I created was a Halloween collection. It started with clip art and blossomed into a whole party pack. I designed bookmarks, bottle wraps, a party garland, place cards and a cupcake topper set that can also be used for napkin rings, ornaments, a mini garland, bag tags and what ever else you can think of. I like options. 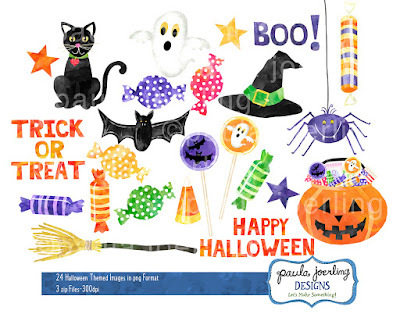 If you are the kind of person who prefers to design your own party, have no fear, you can grab the Halloween Clip Art Pack, and do your own thing. When I have people over for the holidays, I like having a little something to hand out as a memento of the gathering. It makes me feel good to see how much my friends enjoy their little "Souvenir of the Party". 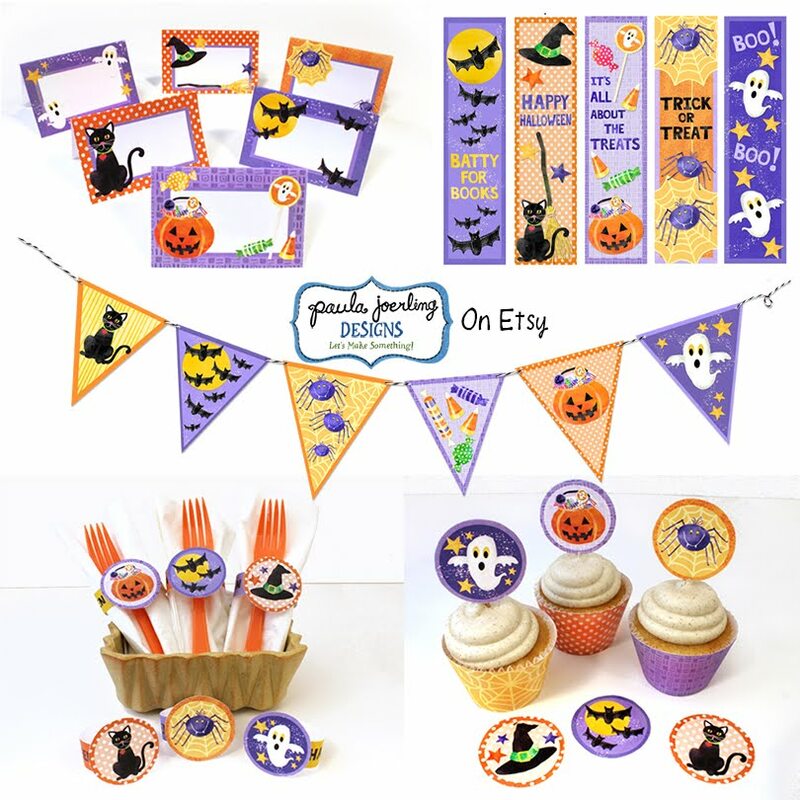 Hopefully my downloads will make it easier for you to add a little personal touch to your Halloween gathering. 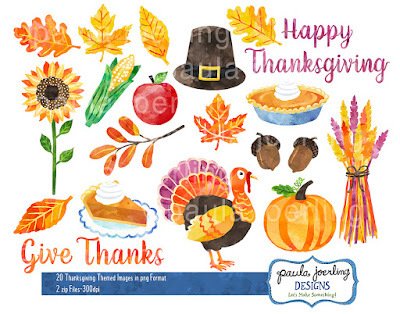 Oh, and if you are already planning for Thanksgiving, I am one step ahead of you with a Thanksgiving Digital Download.